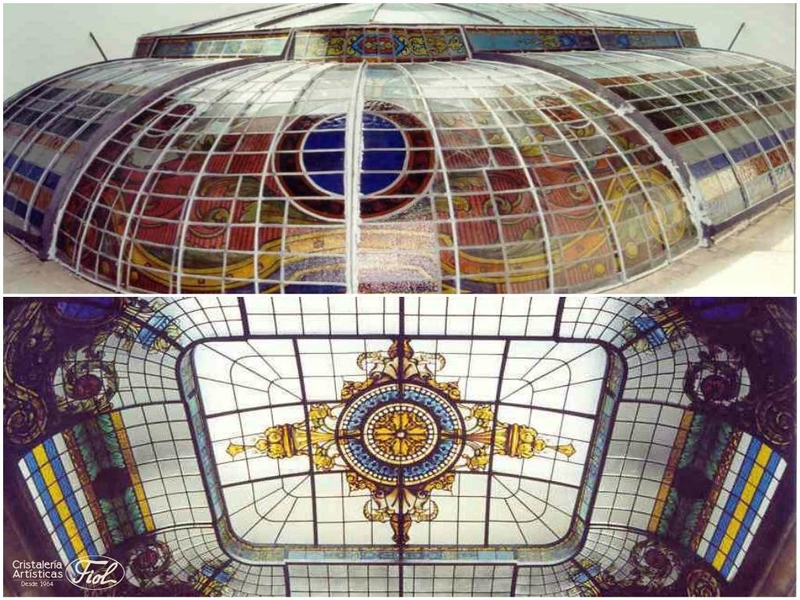 Restoration of a spectacular skylight that was totally neglected. 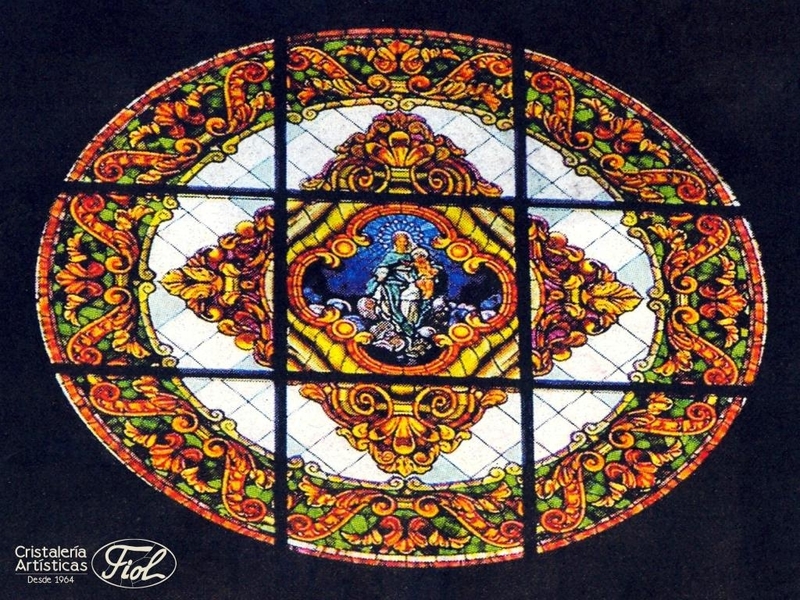 It was disassembled in its entirety, cleaned and carefully restored, replacing the broken glass. Thanks to this restoration it regained its original splendor. Restoration of the rosette of the parish of Porreras, partially destroyed by a storm. Rosette of 350 cm. 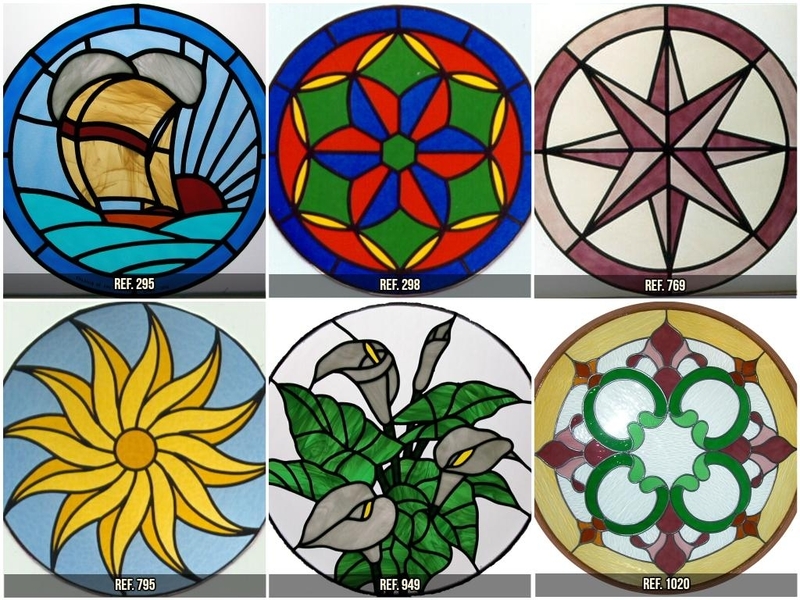 in diameter, divided into 9 panels. The central panel of the upper part was destroyed almost completely and we had to redo it in its entirety. 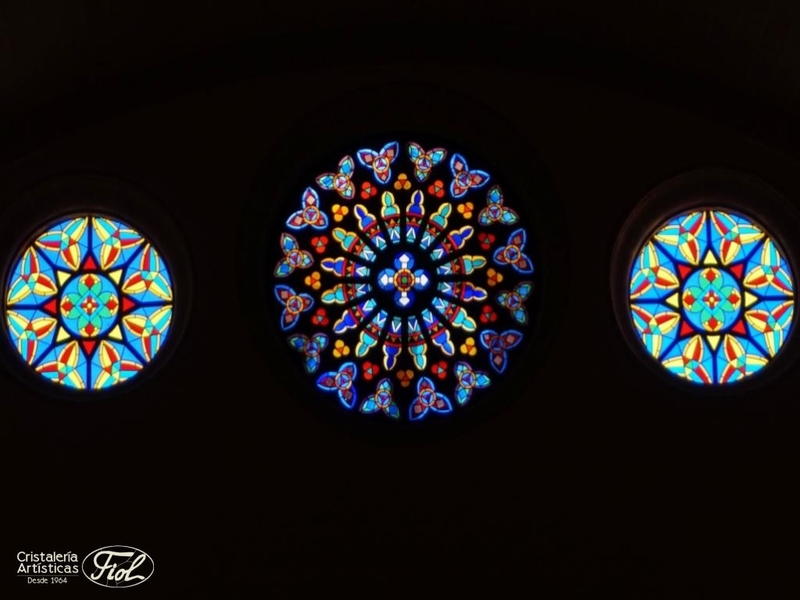 During the months of July and August of 2014 we realized the two lateral rosettes to the greater rosette of the now Basilica of San Miguel de Palma. 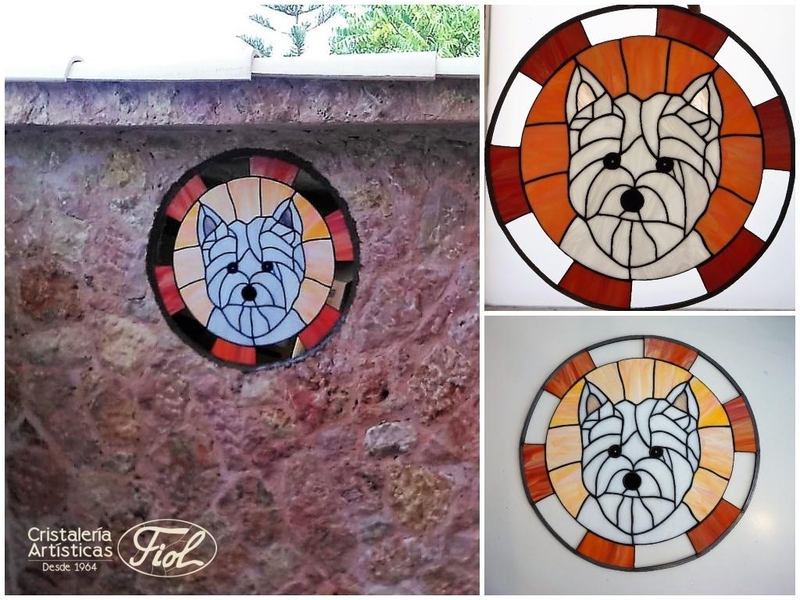 The rosettes measure approximately 2 meters in diameter and consist of 9 leaded panels plus 8 triangular yellow and red glass. 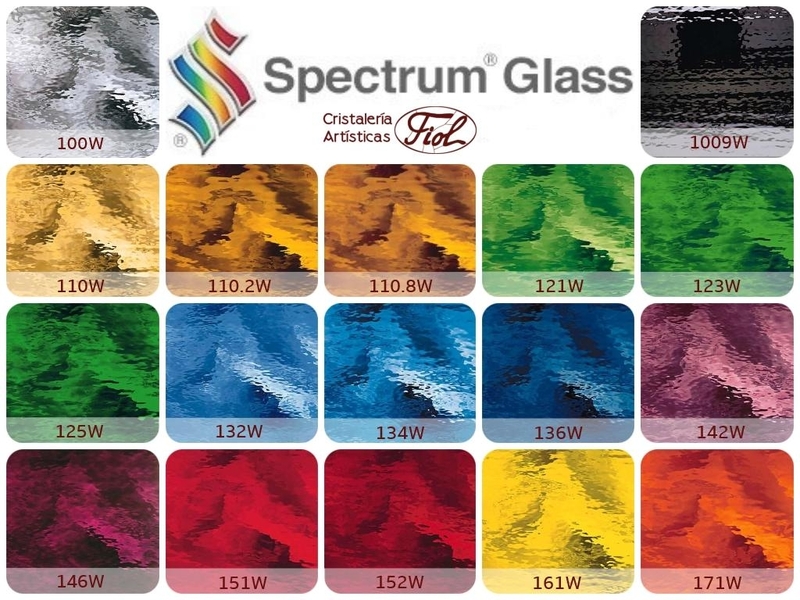 For this work we use glass spectrum waterglass. 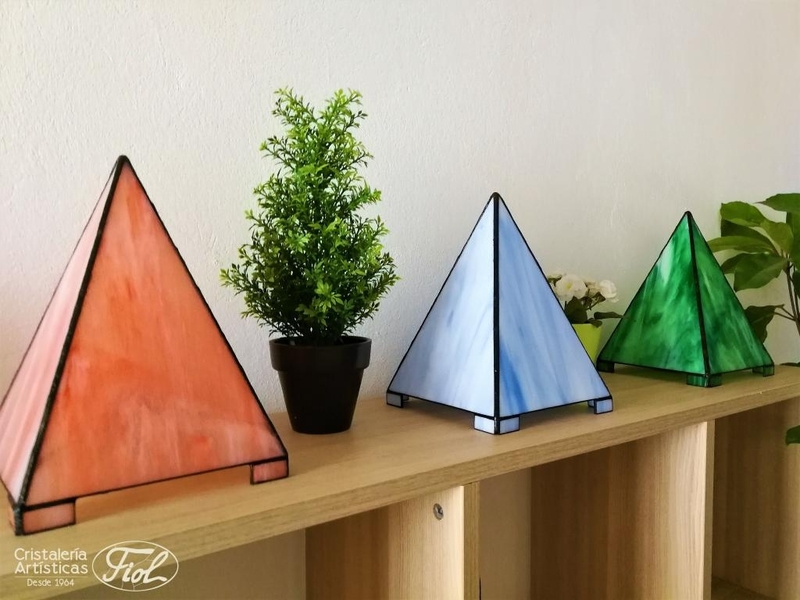 The stained glass windows are protected to the outside by laminated glass. 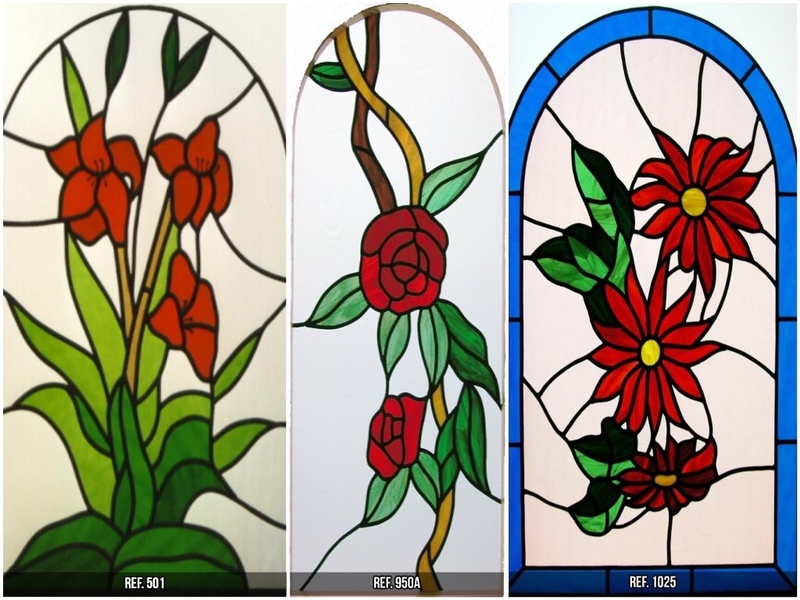 Three models of stained glass with floral motifs. 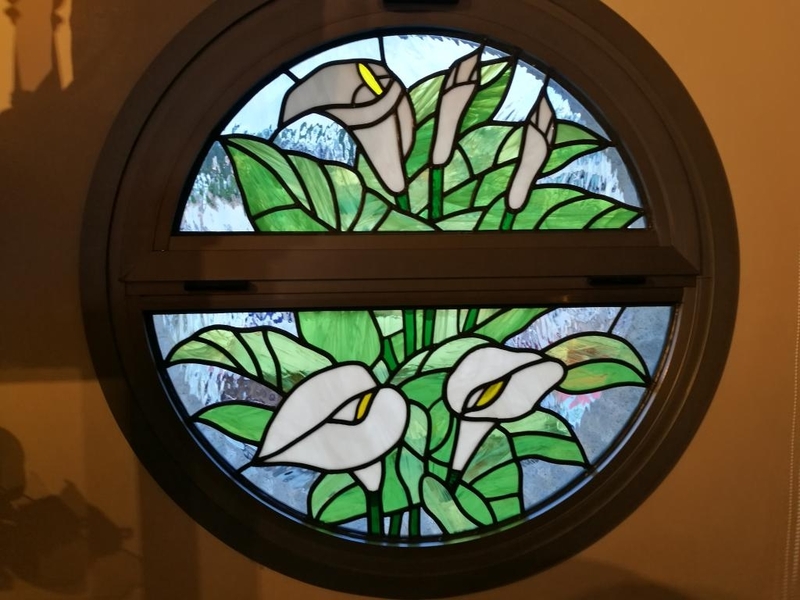 Circular stained glass with lilies floral design, but divided into two stained glass windows to respect the window. 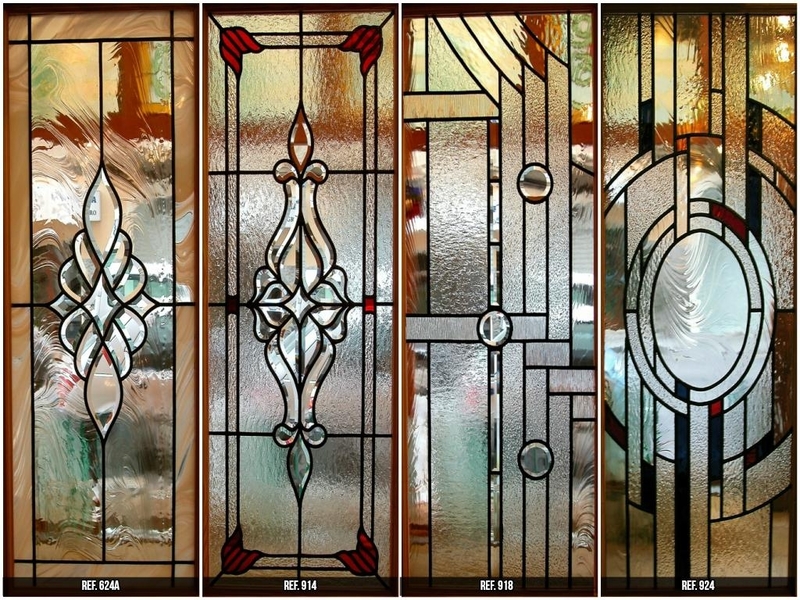 Modern designs, with predominance of glass with colorless textures and transparent bevelled glass, ideal for interior doors. 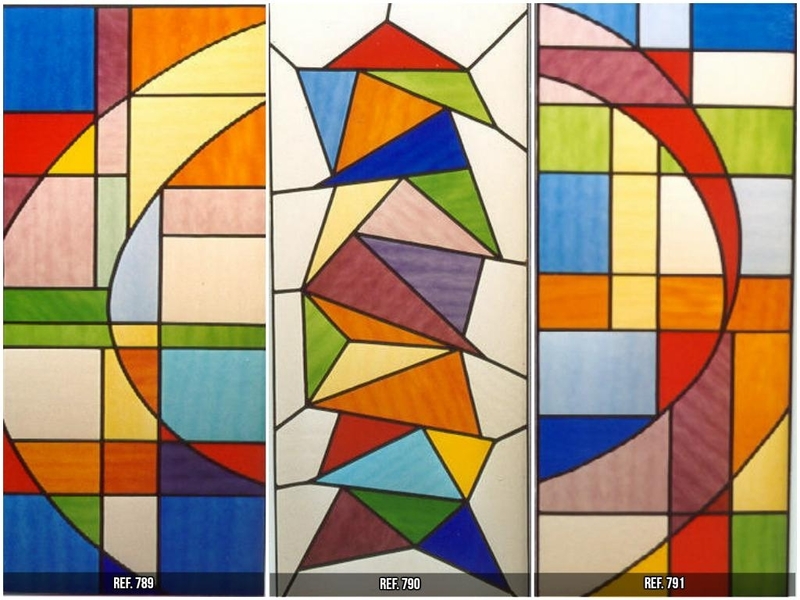 Stained glass designs with irregular geometric shapes and full color. 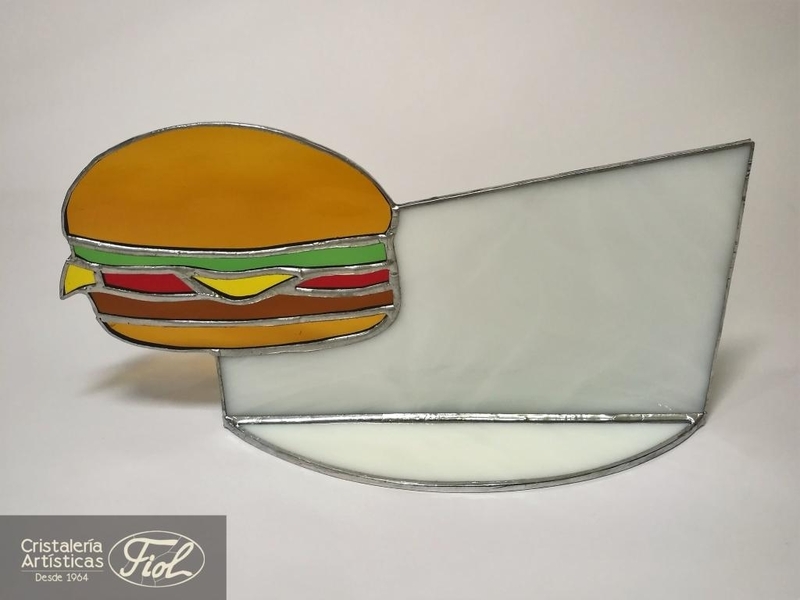 In our workshop we have glass plates of all colors and textures made in the United States.